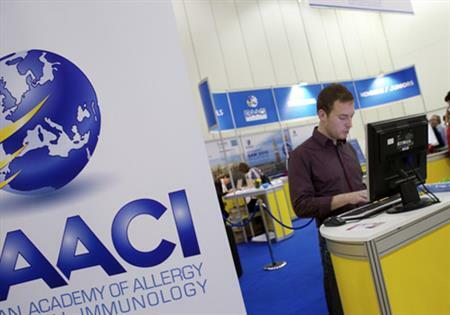 The original bid submission to bring the peripatetic Congress of the European Academy of Allergy & Clinical Immunology (EAACI) to London was made for 2011 but was unsuccessful. Shortly after, a joint bid from Congrex, Excel London and Visit London, backed by the British Society for Allergy and Clinical Immunology, was then resubmitted for the 2010 event. In February 2007, almost 18 months after the second submission, London learned that it had won the right to stage the 29th annual EAACI congress from 12-16 June 2010. During this 18-month wait, the association carried out numerous site inspections of Excel London and its hotel infrastructure and discussed social and accompanying partner programmes with the bid team. In 2009, Excel head of conventions Samantha Shamkh met the association's professional conference organiser, Congrex, at the EAACI congress in Warsaw to finalise London's plans for the following year. With almost 6,100 individual members and 40 European national societies, EAACI is the primary source of expertise in Europe for all aspects of allergic disease. Its scale meant that more than 8,000 delegates registered to attend. According to Congrex group chief executive Layth Bunni, the biggest challenge was the sheer volume of delegates and ensuring that all aspects of the five-day event were managed effectively. Excel London was chosen at the initial bid stage for its large flexible space and excellent European transport links. On 24 June 2010, however, the Docklands venue was due to open its second phase of development, the ICC London Excel, which includes a 5,000-seat auditorium. EAACI delegates became the first to use this facility, two weeks prior to its official launch. Many of the 8,000 international delegates were also able to take advantage of the ICC's proximity to London City Airport. The airport, which is located five minutes from the venue, offers 350 flights a day and access from destinations including Barcelona, Frankfurt, Milan, Paris and Zurich. For accommodation, many delegates stayed at one of Excel's five on-site hotels. The remainder booked accommodation within 20 minutes of the venue. Visit London provided digital and print information suggesting tours of the UK capital and assisted in organising the accompanying partners programme, which included trips on the London Eye and afternoon tea at Harrods. On the Saturday before the congress opened, a welcome reception and opening ceremony took place within the ICC London Excel. A Best of British theme comprised music from a Welsh choir, and Irish and Scottish pipe bands, as well as food from across Britain. The Bootleg Beatles performed at the evening reception. Jenny Stromgard, of the EAACI organising committee, said: "The 2010 Congress was a great success, with more than 8,000 delegates attending. In fact, it turned out to be the biggest allergy congress in the world to date. We've had very good feedback and the event attracted many journalists from around the world. The team at ICC London Excel put so much work into helping us plan this event. They were always contactable. The on-site operation was very smooth - exhibitors expressed their appreciation of the layout of the exhibition area." 2010: The 29th Congress of the EAACI becomes the first event held at the ICC London Excel development.